What is the role of a LHCOS Junior Local Representative? A Junior LR is someone between 13 and 18 years of age who embodies the mission of LHCOS/CSJ and will become a full Local Representative when they are old enough. We want our Junior Local Representatives to be safe above all else and will never ask you to do anything that would put you in harms way! LHCOS/CSJ requires an acknowledgement from your parents if your application is accepted. The Crab Street Journal is the flagship site for the LHCOS C.A.R.E. program. It encompasses all of the aspects of the program and all CCC member Sister Sites fall under The Crab Street Journal. Community: Our goal is to build a community of quality hermit crab care sites that can be relied upon for accurate and current care practices. The Crustacean C.A.R.E. Coalition Sister Site program employs a membership process that includes an application and final web site review. We adhere to a Code of Ethics. Sites who do not conform with the CCC requirements or violate our Code of Ethics will be expelled from the program. Awareness: Our goal is to raise awareness about safe practices. The Say No to Painted Shells campaign is one example. 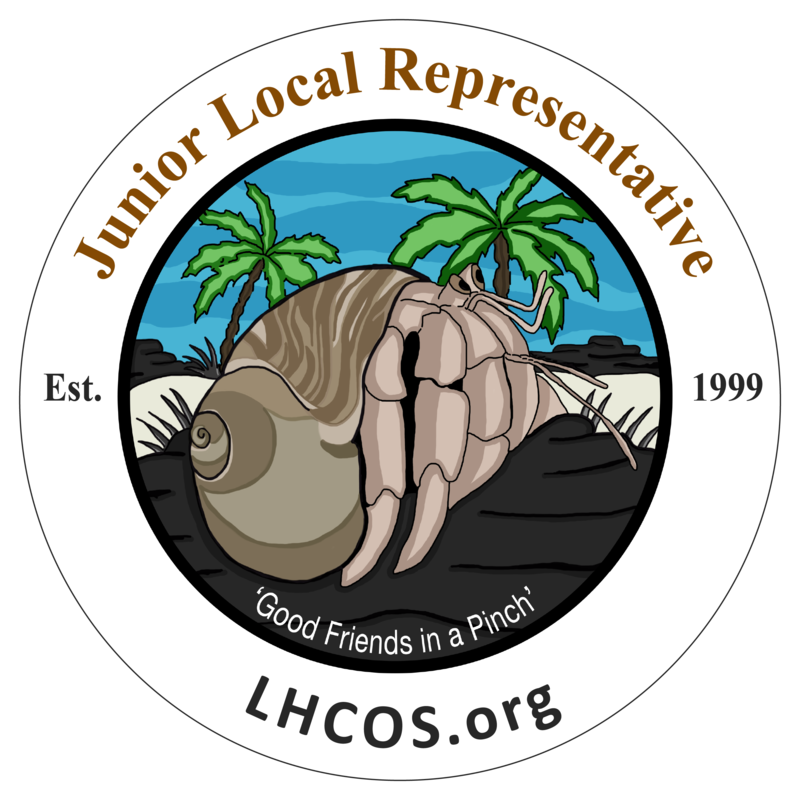 Education: Our goal is to provide accurate and current information to the public free of charge so they have the information they need to properly care for their pet land hermit crabs. We accomplish this through online articles, caresheets, informative videos, sharing information on our forums and on social media as well as exhibiting at pet expos. Be a resource to hermit crabbers in your area by giving suggestions for stores you endorse or places to find supplies. These can be provided to the admin at CSJ to have the information added to our existing lists.